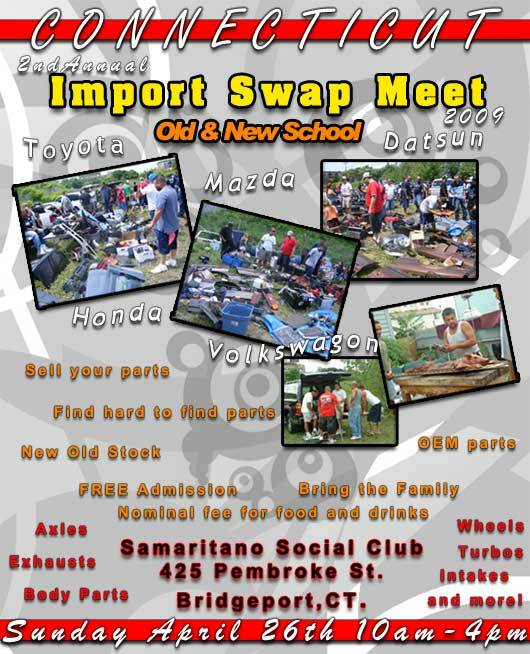 We have a little twist this year we are combining two swap meets the Vintage Mazda Rotary Club and Toyota swap meets. So we figured and go the extra length and have a Import Swap Meet for all Imports old school and new school. So if anyone knows a friend who is a member of a Datsun, Toyota, VW, Honda forum. Let them know. Anyone can go and sell parts NO fees or registration required. April 4th Track Meet Anyone Interested?